When Signature Living opened the Arthouse Hotel in late 2016, the Signature brand was only just getting started. But now, the Hollywood-themed hotel is part of a country-wide hospitality empire that started right here in Liverpool. Growing from just four serviced apartments with a personalized touch in Liverpool’s city centre to a national hotelier, Signature Living has had 10 years of wild dreams and spectacular launches. We’ve taken on near-impossible restoration projects, preserved iconic hero’s legacies and hosted magical weddings in breathtaking venues, while also ensuring that the party-lovers of Liverpool continue to enjoy jaw-dropping, unique venues at the heart of the city. Building on our previous success with party accommodation in the city, the movie-themed party pads at Arthouse gave a brand new, star-studded side to Signature’s Liverpool venues. After the glamourous, celebrity-filled launch of the Arthouse bar (now Mulholland) which introduced Seel Street to a Signature night out, the hotel opened its doors and offered luxurious, film-themed party suites to the city’s most glamorous girl squads and party-loving man packs. 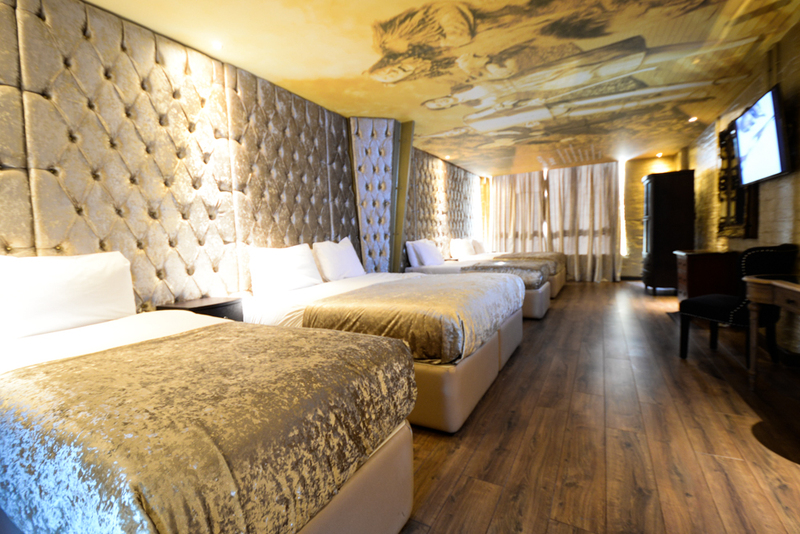 Whether you want to follow the yellow brick road to our Wizard of Oz room, or have a night of Rock Horror Show drama, our themed suites offer luxurious accommodation with incredible faculties including spa baths and ultra-comfortable beds. 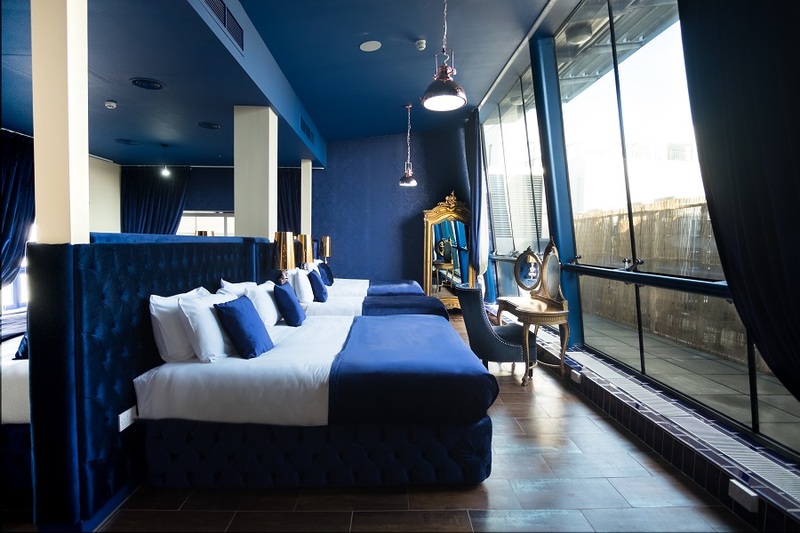 And with the opening of our stunning Skyline Suites in 2017, the Arthouse had its own penthouse party pad, offering accommodation for groups of up to 12 and giving them exclusive access to an in-room roman bath for the ultimate pool parties looking out over Liverpool’s beautiful skyline. In only two short year, the Arthouse has become some of Liverpool’s most popular party accommodation. With our take-over of Alma de Cuba in December 2016, we cemented ourselves as the leading night-life influence on Liverpool’s Seel Street. Growing from four serviced apartments for Liverpool’s most dedicated party lovers into a national hospitality provider, Signature Living’s founders Katie and Lawrence Kenwright have realized their wildest dreams in the past 10 years. And on the 10th anniversary of the company, the generous pair want to make your hopes and dreams a reality too. As we begin our official birthday celebrations on the 14th August, we’ll be launching Signature Living’s biggest giveaway yet. Each month for 12 months, a life-changing prize will be announced on social media – prizes that will make a real difference and change your life forever! Katie and Lawrence want to give back to you, our Signature followers, with once-in-a-lifetime opportunities and spectacular experiences. 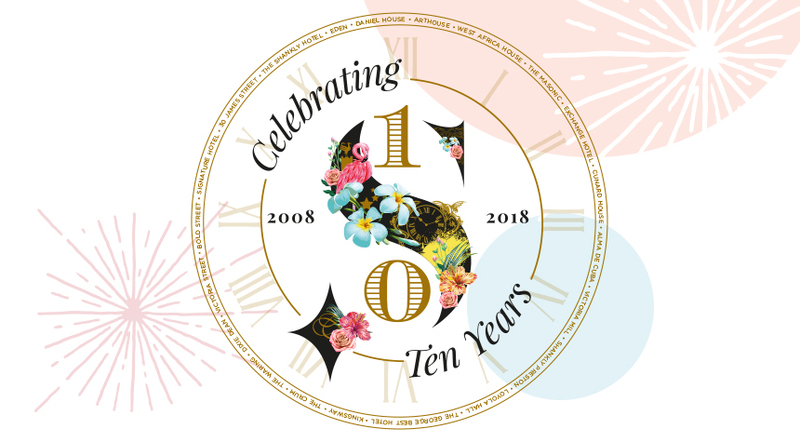 From planting the seeds of change, to indulging in thrills like no other, all the prizes have a definite Signature touch, celebrating our ten years of unique hospitality service. Get ready to be revved up by our unbelievable giveaway that includes sizzling-hot surprises, ice-cool adventures and sparkling Signature celebrations. Dive into our biggest competition yet, as we jet off into 12 months of jam-packed festivities for our 10–year anniversary carnival. You’ve been here for our biggest moments, so now we want to make your special occasions as successful and spectacular as our own. Keep tuned into our social media, where we will be announcing our biggest giveaway yet (#biggestevergiveaway) every month! For more information on our amazing prizes, check out biggestevergiveaway.co.uk. We can’t wait to celebrate with you. Follow our Facebook Page, Twitter and Instagram for updates. This entry was tagged Arthouse Hotel, BiggestEverGiveaway, Competition, Giveaway, Signature Living, Signature10. Bookmark the permalink.